Greater amounts of power available on demand for your audio system. Freedom to mount in any position without acid leakage. More power per pound than any other battery. Includes removable brass battery posts for installation flexibility. 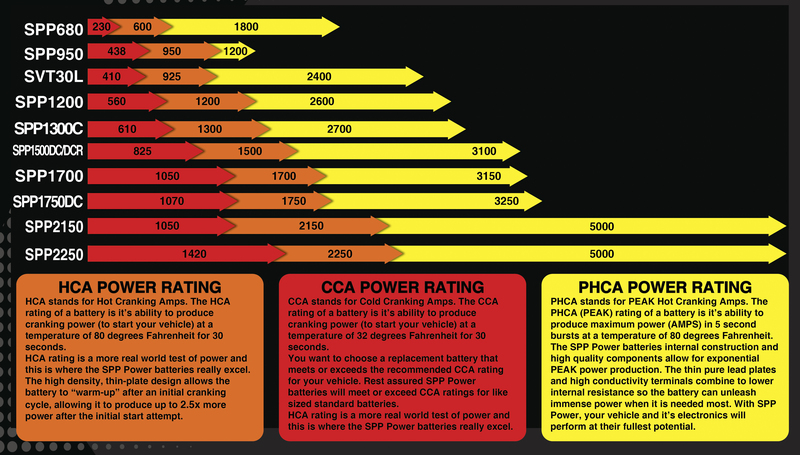 SPP Series Batteries are good for over 400 full discharge cycles. Internal resistance: 3.0 mOhms = Ability to quickly deliver power. The lower the number the faster the delivery.